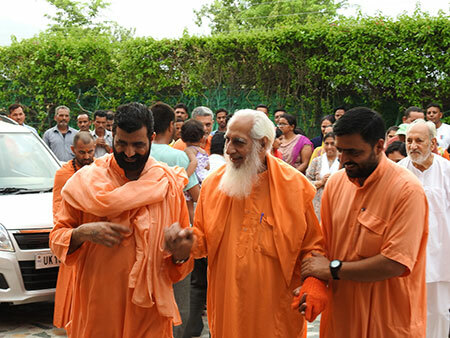 Ashramites, staff, school teachers and hospital employees joyfully welcomed Swamiji back at Sadhana Kendra Ashram on the 24th of June after his two-month retreat in J&K. 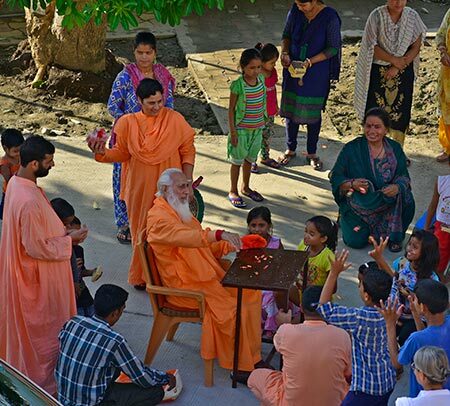 Immediately after his return Swamiji resumed his usual routine of attending the early morning and evening meditation sessions, as well as distributing sweets and toffees to the labourers and their children every evening after tea, rain or shine. 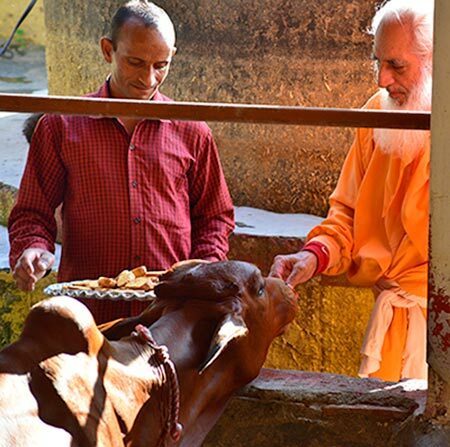 The ashram cows are also once again recieving their daily darshan and prasad from Gurudev's holy hands. 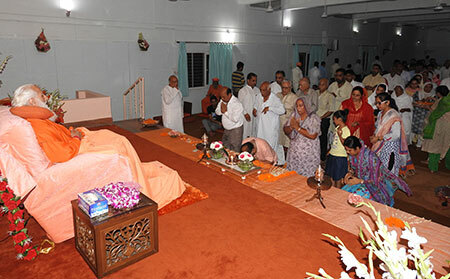 This year a record number of devotees, more than 2000, attended the Guru Purnima celebration at Sadhana Kendra Ashram. 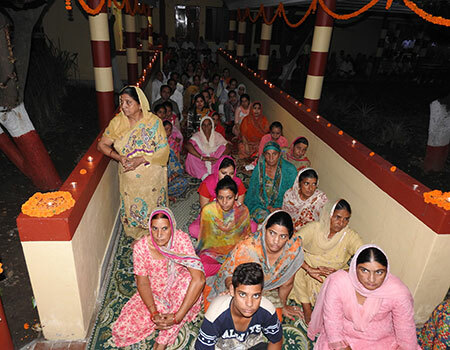 By 4:15 am the meditation hall was already full beyond capacity and devotees had to be seated in the outside gallery. As usual the celebration started at 4:30 a.m. with the aratis of Baba Shri Chandraji, Baba Bhuman Shahji and the Guru arati. 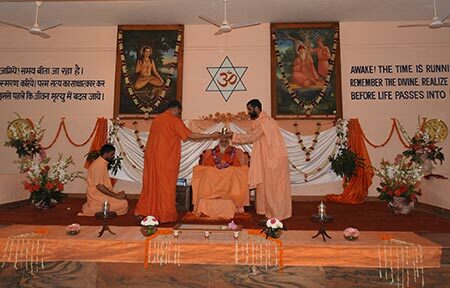 Devotees then had the opportunity to offer flower petals and pranams in front of the stage during kirtan (devotional singing). 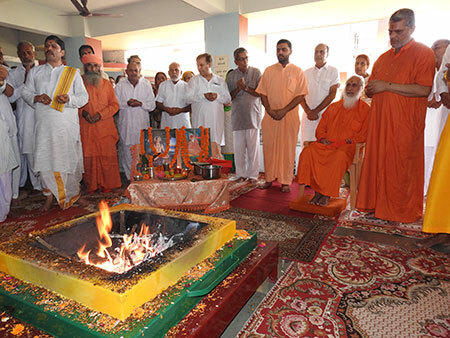 The celebration also included a havan (sacred fire ceremony), a cultural programme in the huge auditorium on the top floor of the new school building, and of course a bhandara (community feast).